Lawrence Richard Vossler, 86, of 76 Hills Street was called to his heavenly home on Saturday, June 25, 2016 with his family at his side. 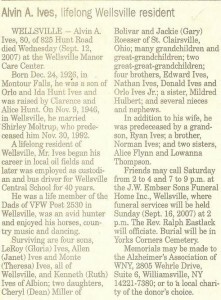 He was born November 30, 1929 in Wellsville, the son of the late Karl B. and Bertha (Brandes) Vossler. On August 30, 1958 in Amherst, he married Margery Louise Brand who survives. Larry was a 1946 graduate of Wellsville High School and graduated from SUNY Alfred in 1981 with an AAS Degree in Mechanical Engineering. He was first employed on the family dairy farm, in partnership with his father and brother Don. He later worked for Dresser-Rand in Wellsville from 1968 until he retired in 1993. He was a lifelong member of First Trinity Lutheran Church where he was an active member of the Couples Club, Choir, Board of Elders, and Men’s Club. He served as a Councilman on the Wellsville Town Board from 1973 to 1989, he was a member the Allegany County Fair Board and served as a Director from 1995 to 2009, a member of the Belmont and Wellsville Rotary Clubs, and was a merit badge counselor and troop committee member while his boys were members of the Boy Scout Troop 705. Surviving in addition to his wife of 57 years are three children, Rev. Dr. L. Richard Vossler Jr. and his wife Coralyn of Livingston, NJ, Terry E. Vossler and wife Janet of Butler, PA and Karl S. Vossler and his wife Lori of Purcellville, VA, nine grandchildren, Christopher and Amy Vossler, Benjamin Vossler, Sara Vossler, Christopher and Shannon Schroeder, Heather and Maxwell Muska, Matthew and Sarah Schroeder, Katrina Vossler, Michael Vossler, and Elizabeth Vossler, three great grandchildren, Juliette Schroeder, Zachariah Schroeder, and Harper Muska. One sister, Marilyn V. Palmer and her husband Jack of Avon Park, FL, a brother-in-law, Peter T. Brand of Hamburg, as well as several nieces & nephews. He was predeceased in addition to his parents by two brothers and sisters-in-law, Walter K. and Florence Vossler and Donald W. and Janice Vossler, along with a sister-in-law, Dorothy Brand. Friends are invited to visit with the family on Wednesday, June 29, 2016 from 10:00 am till noon at the First Trinity Lutheran Church, 470 North Main Street in Wellsville. A memorial service with follow the visitation at 12:00 noon. Burial will be in Woodlawn Cemetery. In lieu of flowers, please consider memorial donations to the Trinity Lutheran Church Memorial Fund, the Hart Comfort House, or the American Diabetes Association. Bruce E. Herman, 87, of Spring Hill, FL and Lakeville, N.Y. died on Feb. 10, 2016 at Bayfront Health Brooksville. Born on June 2, 1928, in Wellsville, N.Y., he was the son of August and Catherine Arnold Herman. On June 7, 1985, he married Betty Bennett Short, who survives. 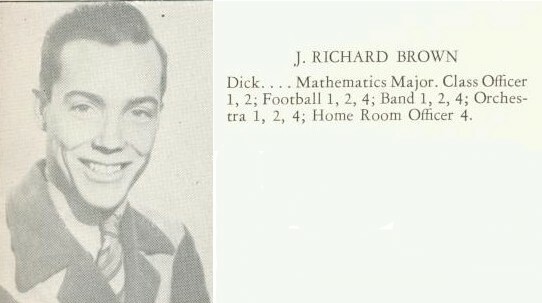 Bruce was a 1946 graduate of Wellsville High School, a 1959 graduate of St. Bonaventure University and a 1974 graduate of the Harvard Advanced Management Program. He was a veteran of the U.S. Army, serving in the occupation of Japan after World War II and serving again during the Korean Conflict with the 301st Logistical Command. He was employed in various positions and locations with The Air Preheater Company and Combustion Engineering, Inc. from 1953 to 1983. After early retirement, he formed B H Associates, a consulting business that assisted middle market companies interested in acquisitions and/or divestitures. At the time of his death, he was Chairman of the Board and a Director of P-G Industries of Anniston, AL. Among other activities he served as a Director on several Boards and was a past Director of the J. Kyle Braid Leadership Foundation of Villa Grove, CO. An active member of St. Timothy Lutheran Church of Geneseo, NY, he was project coordinator of construction of their new facility in 1997-1998 and served on many teams and committees, in recognition of his and his wife’s dedication to the building project, the congregation named the Fellowship room “Herman Hall”. He was a current associate member of Nativity Lutheran Church in Weeki Wachee, FL. In addition to his wife survivors, include two sons, Daniel E. Herman of Detroit, MI and the Rev. Dr. John D. (Leslie) Herman of Greenbackville, VA; step-daughter, Diana (Mark) Sherwood of Lakeville, NY; four lovely granddaughters, Kristin Herman (Samuel) Langholz of Ankeny, IA, Catherine Herman (Scott) Hesh of Greenbackville, VA, Danielle Sherwood (Alex) Keogan of Buffalo, NY and Gabrielle Sherwood of Lakeville, NY; two grandsons, Javon Michael and Denauti Deshaun Herman of Detroit, MI; and three great-grandchildren, Andrew Robert and Adam John Langholz of Ankeny and Karla Joy Hesh of Greanbackville. Also surviving him is his sister, Joanne Herman Brandes of Wellsville, NY. Bruce was predeceased by his parents; an infant son, David Bruce; his brother, James Herman; and his sister, Janet Herman Lang. There will be a memorial service at St. Timothy Lutheran Church in Geneseo, NY at a later date. In lieu of flowers, memorial contributions may be made to St. Timothy Lutheran Church, 5015 Lakeville Rd., Geneseo, NY 14454, or to the donor’s choice. Eleanor Kruger Cott, 82, of the Petrolia Road died unexpectedly on Friday, November 5, 2010 at Strong Memorial Hospital in Rochester, following a brief illness. 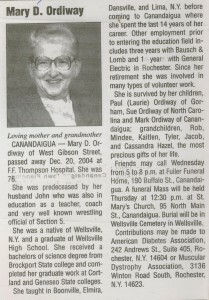 She was born March 21, 1928 in Wellsville, the daughter of the late Henry and Amelia (Dornow) Kruger. On February 20, 1965 in Wellsville she married J. Bernard Cott who predeceased her on November 6, 1997. 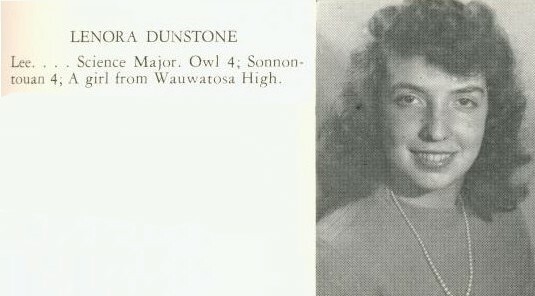 Eleanor was a 1946 graduate of Wellsville High School; where she was on the staff and did all the art work for the first issue of the new yearbook “Sonnontouan”. 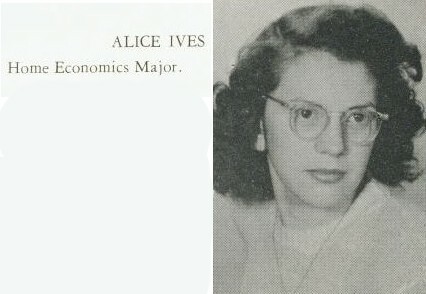 She was formerly employed as a draftsman and computer programmer for C. E. Air Preheater Company in Wellsville from 1946 until her retirement in 1984. Several organizations enjoyed her artistic talents and the donation of her time; including the Wellsville Art Association, Allegany Art Association, the Garden Club, the Thelma Roger Genealogical and Historical Society and the Jones Memorial Hospital; Hemlock Twig. She was a Hospice volunteer, served on the David A. Howe Public Library; Restoration Committee and was a member of the First Trinity Lutheran Church; where she was active in the choir, Ladies Aid, Dorcas Guild as well as several other committees. She is survived by a sister-in-law, Thelma Cott of Florida, a niece, Karen Cott Evans in Jacksonville, FL and two nephews James E. Cott in Gainesville, FL and David R. Cott in Jacksonvillle, FL. as well as several cousins, including, Lois Johnston of Canandaigua, Roy Krueger of Raleigh, NC, Harold Krueger of Rockford, IL, Robert “Kip” Krueger of Orchard Park, Glen W. Kruger and Kristen A. Kruger both of Wellsville. She was predeceased in addition to her parents and husband, by a sister, Alice Kruger on May 17, 1982. The funeral will be Tuesday, November 9, 2010 at 2:00 pm at the First Trinity Lutheran Church, 470 North Main Street in Wellsville, with Rev. Robert Morris presiding. Friends are invited to a reception in church from 12:00 noon to 1:00 pm and visitation will be in church from 1:00 to 2:00 pm. Burial will be in Mount Pleasant Cemetery in Houghton. Memorial donations are suggested to the First Trinity Lutheran Church, the David A. Howe Public Library or any charity of the donor’s choice. Francis Patrick Dean, 84, passed away peacefully on January 9, 2013, with his beloved wife, Virginia, and his daughters at his side. Francis, son of the late Jerome J. and Catherine Baker Dean, was born in the Dean family home at 376 South Main Street, Wellsville, N.Y., on December 15, 1928. He married Virginia Seligman on July 21, 1956, at St. Mary’s Catholic Church in Bath, N.Y. Francis was raised in Wellsville and was a parishioner of Immaculate Conception Church. 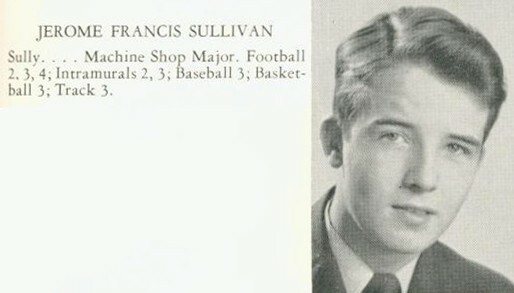 He graduated from Immaculate Conception School and Wellsville High School, Class of 1946, and attended St. Bonaventure University. Francis served in the United States Army and was stationed in Germany during the Korean War. In 1955, he began his career in the automobile industry at Lester Chevrolet, later becoming part-owner of Hetzel-Dean Motors in Wellsville. The Dean family moved to California in 1970, and he was a parishioner of Assumption Catholic Church. Francis owned dealerships in Wellsville, San Leandro, Calif., Burlingame, Calif., and Pittsburgh, Pa. Francis was an avid sports fan and golfer, and he competed for many years in the Honda Pro-Am Golf Tournament. His community memberships included the Wellsville Lions Club, Wellsville Elks Lodge 1495, and the Wellsville Volunteer Fire Department’s Emerald Hook & Ladder Company No. 3. Francis is survived by Virginia, his loving wife of 56 years, and their five daughters, Francie (Ken) Kunaniec, Carol (Jerry) Kekos, Cathy (George) Cramer, Mary Dean (Stephen Hegel), and Teresa (Gene) Fynes, as well as eight grandchildren. Francis is also survived by his siblings, Mary Catherine Quinn, Margaret (Robert) Lagonegro, Helen (Jack) Schneble, John (Wanda) Dean and Tom (JoAnn) Dean; and his sister-in-law Aurella Dean. Francis was pre-deceased by his parents; four older brothers, William, James, Richard and Edward; and a brother-in-law, James Quinn. Francis also leaves many nieces, nephews and godchildren, in addition to longtime friends who have greatly enriched his life. Visitation is Friday, January 18, 2013, from 2 to 4 p.m. and 7 to 9 p.m. at the J.W. Embser Sons Funeral Home Inc. in Wellsville. A Mass of Christian Burial will be celebrated on Saturday, January 19, 2013, at 11 a.m. at the Immaculate Conception Church, 36 Maple Avenue in Wellsville, with the Rev. Sean DiMaria as celebrant. Burial will be at the Sacred Heart Cemetery. In lieu of flowers, memorial donations may be made to the Comfort House of Allegany County, 141 East State Street, Wellsville, N.Y. 14895; the Emerald Hook & Ladder Company No. 3, 40 South Main Street, Wellsville, N.Y., 14895; or to a charity of one’s choice. Patricia Nye McClure, 85, of St. Petersburg, Fla., passed away peacefully at home on Sept. 12, 2013. She was born to the late Mabel and Lyle Nye, on Feb. 20, 1928 in Wellsville, N.Y. Pat graduated from Wellsville High School in 1946 with honors. She continued with her education in her late fifties and went on to graduate with her nursing certificate from St. Petersburg College in Florida. 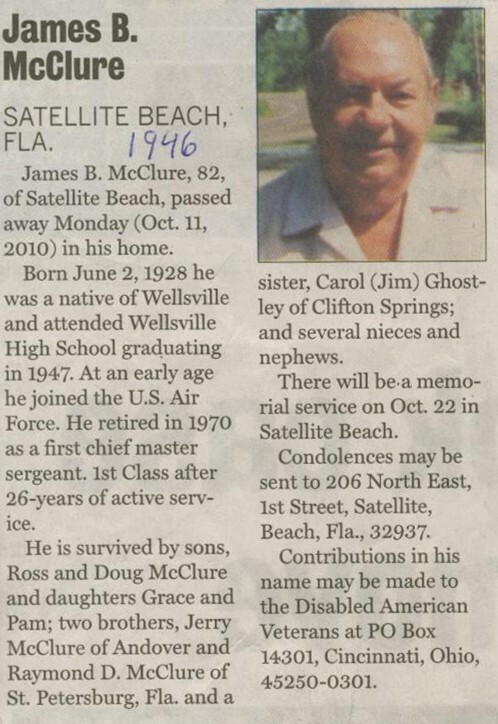 She married Raymond D. McClure in 1948 and they lived in St. Petersburg, Fla. 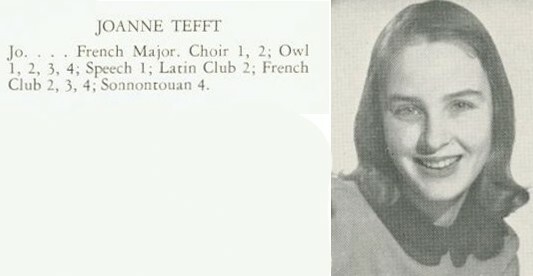 In her youth she held the job of telephone operator in the town of Wellsville, N.Y. Later she was a floral designer, certified in Watkins Glen, N.Y. In middle age she managed the famous K.F.C. 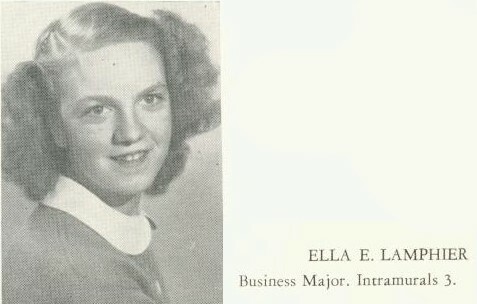 Franchise in Richmond, Va. She traveled to many places, including Beirut, Greece, Amsterdam, as well as the west coast of the United States and Alaska. She also owned and managed an Adult Congregate Living Facility for many elderly people. Pat was an artist in many ways; a master knitter of Afghans, baby blankets, sweaters; amazing seamstress, making outfits for her little girls and nieces. She loved children and she was a great Girl Scout leader, teaching basketry and how to be creative with anything found in nature. Pat was a great cook and baker and loved to collect recipes. She always had a great meal on the table and anyone was welcome. 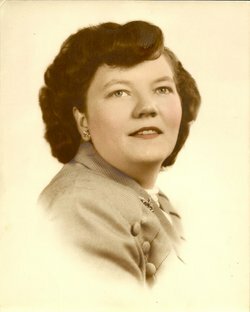 Her loving family includes her husband of 65 years, Raymond; her brother, Eugene Nye of Newberry S.C.; her four children, Daniel McClure (Antoinette) of Shortsville N.Y., Timothy McClure (predeceased), Kathee Sive of Wellsville N.Y., and Debbie McClure of Largo Fla.; her 3 grandchildren, Lonnie Childs of Watkins Glen N.Y., Kathleen Lovett (William) of St. Petersburg, Fla., and Zackary Sive of Wellsville N.Y.; her 5 great-grandchildren, Dalicia, Serena, Mia, Leah and Andrew Lovett; also her many nieces and nephews. Celebrating Patricia’s memorial will be in Wellsville, N.Y., at a future date. In lieu of flowers, those wishing may contribute in her memory to your local Hospice Organization. Helen Hornburg Link, 85, of the Meservey Hill Road passed away Sunday (Dec. 8, 2013) at the Highland Park Health Care Center in Wellsville. 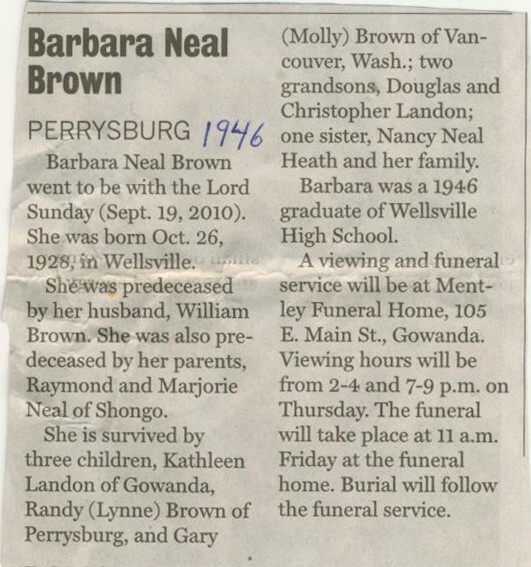 She was born April 1, 1928, in Wellsville, to Walter C. and Ruth Breneke Hornburg. On Feb. 3, 1951, in Wellsville, she married Harold Link, who predeceased her Dec. 6, 2002. 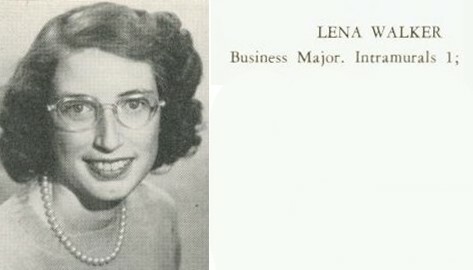 Helen graduated from Wellsville High School and worked for the Woolworth and Grants department stores in Wellsville. She later worked on the farm with her husband and will be remembered for driving the team of horses during the hay season. She was a very determined and outgoing woman who enjoyed being outside and was devoted to her family. Helen was a devout Christian who would say a prayer anywhere and at any time. She was a life member of the Trinity Lutheran Church who taught Sunday school and had been a member of the couples’ club. Helen enjoyed birds, and was a member of the Allegany County Bird Club as well as an active participant of the Wellsville Senior Center. She is survived by a son, Gary (Nancy) Link of Wellsville; a daughter, Linda (Arnold) Hurd of Wellsville; five grandchildren, Jackie (Andre) Harris, Ann (Brad) Ball, Amy Hurd, Laura (Andy Hunt) Link and Brian Link; five great-grandchildren; as well as numerous nieces and nephews. Helen was predeceased by a sister, Doris Burton.Friends are invited to call from 11 to 1 p.m. Saturday (Dec. 14 2013), in Trinity Lutheran Church, with a funeral service set to follow at 1 p.m. with Pastor Robert Morris presiding. Burial will take place in Woodlawn Cemetery. George J. DeBarbieri, 91, of 3432 North Drive passed away on Thursday, September 13, 2018 at Jones Memorial Hospital. He was born on July 13, 1927 in Wellsville, the son of the late George J. and Helen (Fox) DeBarbieri Sr. On May 30, 1953 in Wellsville he married Jeanette Fanton, who survives. George attended Wellsville High School, and served with the Merchant Marines. He was first employed at the Sinclair Refinery, and the DeBarbieri Sporting Goods Store in Wellsville. He was later employed by Worthington Corporation in Wellsville for 37 years, retiring in 1989. He was a member of the Immaculate Conception Church, he enjoyed meeting his friends for coffee at McDonald’s, and was an avid golfer. Surviving in addition to his wife is a son, Michael (Susan) DeBarbieri of Portville, a daughter, Laurie A. DeBarbieri of Naples, Florida, three grandchildren, Amy (Michael) Pope, Joseph (Kate) DeBarbieri, and John DeBarbieri, five great-grandchildren, Matthew, Ellie, and Charlotte Pope, and Samuel and Maxwell DeBarbieri, one sister, Marguerite D. Graves of Pittsford, a sister-in-law, Marilyn Lampman of Tulsa, OK, as well as several several nieces and nephews. He was predeceased in addition to his parents by a sister, Letitia Parron, two brothers, Louis, and Richard DeBarbieri, and two brothers-in-law, Harry Graves, and George Lampman. Friends are invited to a Memorial Mass on Friday, October 12, 2018 at 11 a.m. at the Immaculate Conception Church in Wellsville. Burial will be in Sacred Heart Cemetery. Please consider memorial donations to the Hart Comfort House. Marian E. (Brandes) Graves, 90, passed away on Wednesday, Sept. 12, 2018 at the Carlton Shores Nursing Home in Daytona Beach, Florida. She was born on March 11, 1928, the daughter of Melvin and Marie (Pohl) Brandes, who had resided on Beach Hill in the Town of Willing. 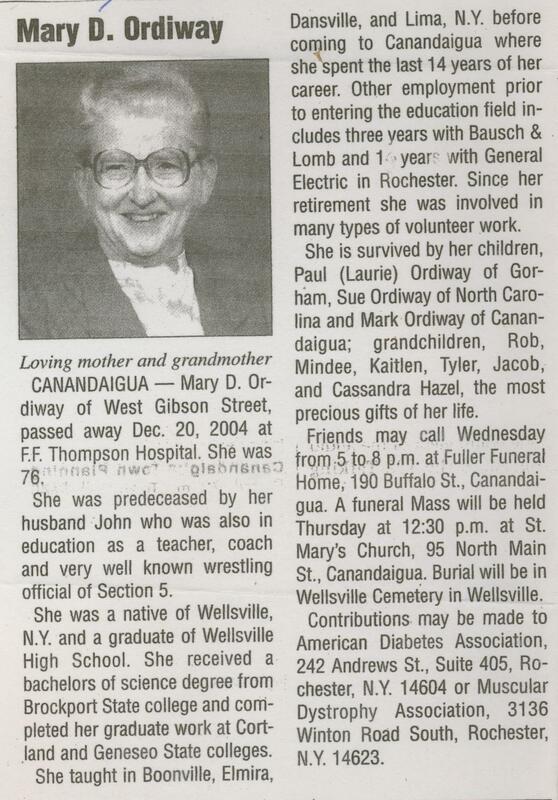 On July 28, 1946 she married Richard Graves, who predeceased her on July 1, 2018 Marian was a 1946 graduate of Wellsville High School, and worked throughout her life, retiring at the age of 82. She is survived by a son, Ronald (Vicki) Graves of Oregon; and a daughter, Linda Graves of Florida; three grandchildren, Sarah Graves of Oregon, Alicia (Ben) Port of Oregon, and Dr. Jason (Anna) Graves of England; five great-grandchildren, Shelby, Carter, and Olly Port of Oregon, and Zofia, and Justav Graves of England; four sisters, Marette Pace of California, Myrtle (Louie) Smith of Wellsville, Marcella Graves of Scio, and Margaret (Carl) Cross of Wellsville; one brother, Melvin (June) Brandes of Wellsville; as well as several nieces and nephews. She was predeceased in addition to her husband of 71 years, by a son, Stephen, and an infant daughter, Susan. Internment will be in the the Graves Family Cemetery in Shongo at a later date. James G. Cretekos, age 86, died on April 27, 2014 at the University of Rochester Medical Center in Rochester. He was a lifelong resident of Wellsville who was born on January 6, 1928, the son of George J. and Anastasia Paraskavopoulos Cretekos. 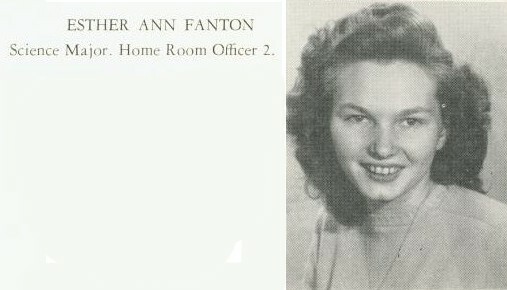 On August 22, 1954 in Wellsville he married Ann Forman who predeceased him on December 30, 2003. Jim was an Army veteran, earned his Bachelors Degree from the University of Buffalo and his Masters Degree from St. Bonaventure University. He was a professor of Chemistry at SUNY Alfred and active in the United University Professions for many years before his retirement. Jim was very proud of his Greek heritage and visited the birthplace of his father in Sykia, Greece many times over the years with his family. 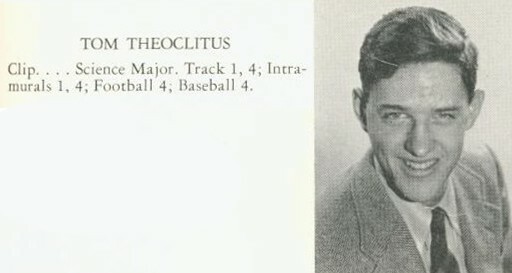 He was a founding organizer of the Greek Open Golf Tournament in Wellsville, later named the Hellenic Invitational Golf Tournament held in Coudersport, Pennsylvania. He was fiercely loyal to his family and friends and a staunch supporter of the Democratic Party. His previous community contributions include election commissioner for Allegany County, Trustee of Jones Memorial Hospital, member of the Allegany County Legislature, Supervisor of the Town of Wellsville, Mayor of the Village of Wellsville, and an active member and past Exalted Ruler of the Wellsville BPOE. Jim is survived by his five children, Stacey Cretekos , Cynthia (Doug) Young, George (Jolene) Cretekos, Greg Cretekos (Lydia Yawney), Karen Cretekos (Mark Buchalter) and ten grandchildren; Kyla, Niko and Lily Cretekos-Gross of Congers, NY, Jimmy Young of Troy, NY, Andy (Heidi) Young of North Greece, NY, Emily Young of Saratoga Springs, NY, Jimmy Cretekos of Rochester, NY, Terry Cretekos of Chicago, IL, Louis and Benjamin Buchalter of Seattle, WA., as well as Several nieces and nephews. Jim was predeceased by his parents, his wife Ann, a sister Katherine Toporas, 3 brothers, Jack Cretekos, Dr. Constantine “Gus” Cretekos and Stephen Cretekos, a son in law, Michael Gross. Friends are invited to call on Thursday, May 1, 2014, from 2-4 and 7-9 pm at the J. W. Embser Sons Funeral Home in Wellsville. A Greek Orthodox funeral service with Father George Zervos presiding will be held at 11:30 am on Friday at the St. John’s Episcopal Church on Main Street in Wellsville. Burial will take place in Woodlawn Cemetery and donations in Jim’s name can be made to a Wellsville based organization of your choice. 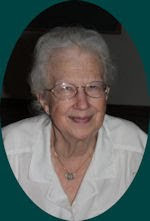 Mary Jane Greene, 87, of 11 Lunn Court passed away on Monday, September 1, 2014 at the Wellsville Manor Care Center following a brief illness. She was born April 29, 1927 in Sugarcreek, PA, the daughter of the late Walter and Edith (Sloss) Sibble. On August 27, 1949 at the Wellsville United Methodist Church she married Robert Greene who survives. 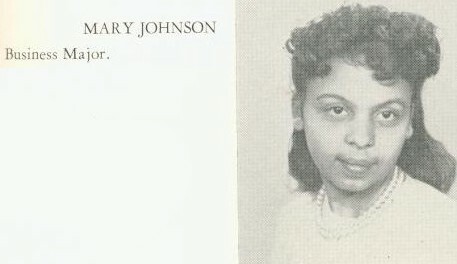 Mary Jane was a graduate of Wellsville High School. She was employed as a switchboard operator for New York Telephone and Dresser-Rand Corporation in Wellsville. She loved to cook for her family, crochet and sew. Surviving in addition to her husband is one son, Thomas A. (Glenna) Greene of Lakeland, Florida, six grandchildren, 11 Great Grandchildren and several nieces & nephews. She was predeceased by a son, John Greene, a brother Daniel and four sisters, Mabel, Ruth, Martha and Evelyn. Friends are invited to call on Friday (September 5, 2014) from 1:00 to 3:00 pm at the J. W. Embser Sons Funeral Home Inc. in Wellsville. A memorial service will follow visitation at 3:00 pm. with Pastor David Means presiding. The family suggests memorial donations be made to the SPCA Serving Allegany County or the Hart Comfort House. 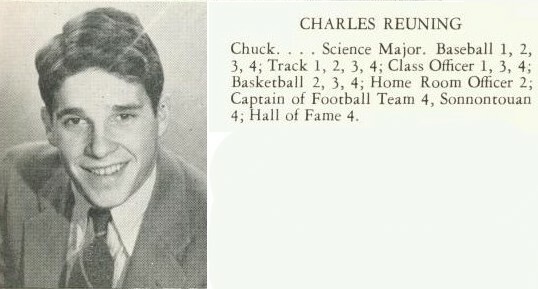 Charles R. Reuning, formerly of Wellsville, who died June 29, 1999, in South Carolina, will be reinterred in Woodlawn Cemetery in Wellsville on June 2, 2012. Friends are invited to a graveside service at 11 a.m. in the cemetery. Ellen Louise Mathers McGinnis, 77, of Whitney Avenue, Belmont, N.Y., formerly of Wellsville, N.Y., passed away Monday, Aug. 1, 2005, at home, following declining health. 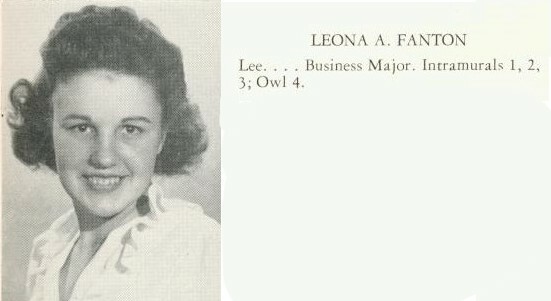 Born June 5, 1928, in Towanda, she was the daughter of the late Francis Marion and Hila Louise Meredith Mathers. 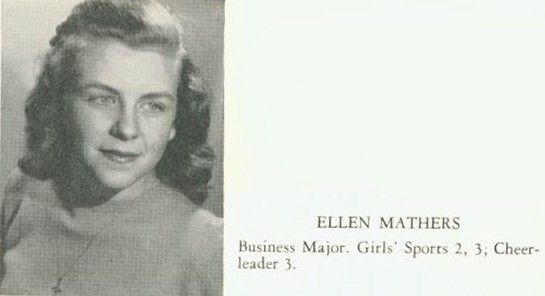 Ellen was a graduate of Wellsville Central School, Class of 1946. In earlier years Ellen was employed by the Sinclair Refinery in Wellsville, and by Jones Memorial Hospital in Wellsville. She was later employed by the Alleghany County Personnel Department for a number of years. Surviving are a daughter and son-in-law, Ann and Michael Wyrough of Rochester, N.Y.; two daughters, Susan McGinnis Brown of Chalfont, Pa., and Katherine McGinnis of Chagrin Falls, Ohio; two granddaughters, Kelly and Katherine Wyrough; and her sister-in-law, Agnes Adam Griffin of Wysox. She was preceded in death by a brother, James Evan Mathers. A graveside service will be held at noon on Saturday at the Oak Hill Cemetery, Towanda, with the Rev. Maureen Hipple, rector of Christ Episcopal Church, Towanda, officiating. Arrangements are under the direction of the Maryott-Bowen Funeral Home, Towanda. 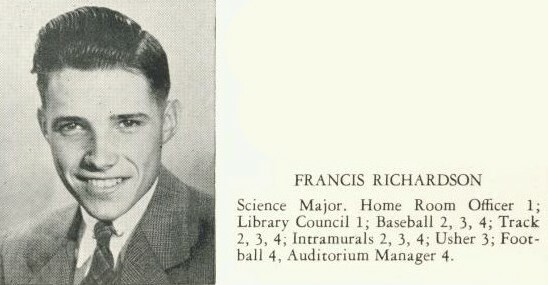 F. E. Richardson, Oil Producer : Francis E. Richardson of Riverside Drive died on arrival at Jones Memorial Hospital Thursday (July 22, 1982). He was born July 3, 1929 in Wellsville, a son of John M. and Ethel Sloan Richardson. On Sept. 23, 1950, in Wellsville, he married Marcella M. McGinnis, who survives. 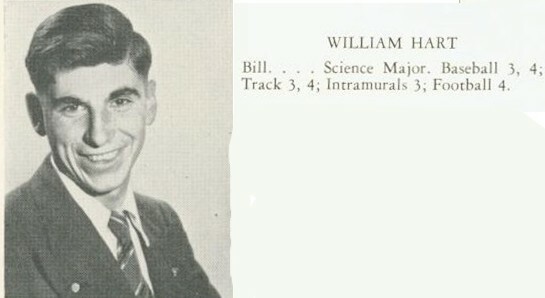 He was a 1946 graduate of Wellsville High School and had attended the University of Oklahoma. He served on the Board of Directors of First Trust Union Bank and belonged to the Wellsville Lions Club and the Elks Lodge in Wellsville. He was president of Ebenezer Oil Company. He was a member and past officer of the New York State Independent Oil Producers Association and was a member of the Penn Grade Oil Producers Association. In addition to his wife, he is survived by his mother, of Wellsville; four sons, John M. James S, and Daniel G. Richardson, all of Wellsville, and Mark E. Richardson of Kendallville, Ind. ; and four grandchildren. Friends may call from 7 to 9 p.m. today and from 2 to 4 and 7 to 9 p.m. Saturday at the Embser Funeral Home, where funeral services will be held at 1 p.m. Sunday. Burial will be in Wellsville. Memorials may be made to the charity of the donor’s choice. Mrs. June Hazzard, Olean, –Funeral services for Mrs. June Hazzard, 42, formerly of Olean, will be at 1:30 p.m. Saturday at the Halwig Funeral Home. the Rev. Arnold Lundberg, minister of Trinity Methodist Church, will officiate. Burial will be in Allegany Cemetery. Mrs. Hazzard died in Helmuth, N.Y., Wednesday following a long illness. Surviving are a son, Buddy and a daughter, Barbara Hazzard, both of Whitesville; her father, Edward Brehm; a brother, Lester Brehm, both of Olean; and six sisters, Mrs. Donald Saunders of Wellsville, Mrs. Walter Vreeland of Kearny, N.J., Mrs. Edwad Saas of Paramount, Calif., Mrs. Chester Skiner of Ceres, Mrs. Lyons Shay of Allegany and Mrs. O. G. Robertson of Vandalia. Leola A. Halladay, 68, of t he Boyd Road, died Wednesday (March 11, 1998) at Strong Memorial Hospital after a brief illness. 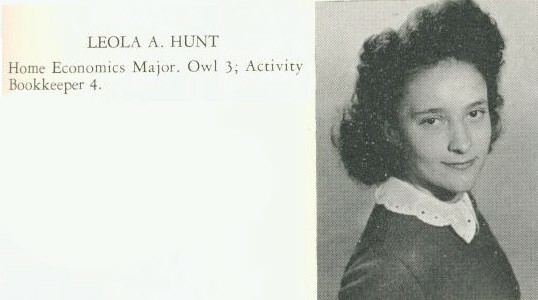 Born May 16,1929, in Wellsville, she was the daughter of Willis and Grace Marshall Hunt. She was a life-long area resident and was a graduate of Wellsville High School. Mrs. Halladay had been employed at Mapes Woodworking in Whitesville, Gunlocke Furniture in Almond and with the housekeeping department of Jones Memorial Hospital Survivors include three daughters, Kathryn (Eugene) Payne of Oxford, Ala., Evelyn (Jerry) Morris of Whitesville, and Patricia (Jeff) Kailbourne of Andover; two sons, Allan (Julie) Kailbourne of Whitesville and Don Halladay of Andover; eight grandchildren; and two greatgrandchildren. Also surviving are two brothers, Lester Hunt and Leon Hunt, both of Wellsville; four sisters, Lytie Harder, Laura (Bob) Harder and Lena Reed, all of Wellsville, and Loretta Lewis of Whitesville; and a number of nieces and nephews. She was preceded in death by three brothers, Lawrence, Lyle and LaRue Hunt. LAS VEGAS, Nev. – Thomas (Tom) Theoclitus, 72, a Wellsville native, died Sunday, Oct. 1, 2000, at Adelson Hospice of Las Vegas, Nev.
MANASSAS, Va — Walter A. Pfuntner Sr., 71, of 9624 Bainbridge Court died Saturday (Jan. 29, 2000) in Prince William Hospital in Manassas. Born May 22, 1928, in Coudersport, Pa., he was the son of Walter A. and Violet Mae Smith Pfuntner. On Oct. 4, 1952, in Hornell, N.Y, he married Margaret A venal Jankowski, who died on Oct. 28, 1980. On Nov. 2,1985, in Wellsville, he married Carol Corbin Ludden, who survives. 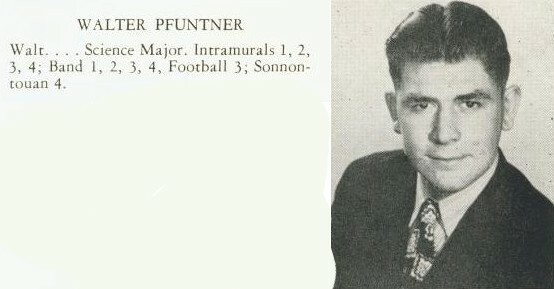 A former longtime resident of Wellsville, N.Y., Mr. Pfuntner was a graduate of Wellsville High School and had attended Alfred State College . He was a veteran of World War II, serving with t h e U.S. Army Company L, 21st Infantry Regunent in Kumamoto, Japan. Mr. Pfuntner owned and operated Wellsville Electric Supply for many years. He was a member of the Immaculate Conception Church in Wellsville and w a s a former member of the Wellsville Central School Board of Education. In addition to his wife he is survived by two sons, Walter A. (Nancy) Pfuntner Jr. of Scotia, N.Y., and John Pfuntner of Apex, N.C; a daughter, LynnM. (Leigh) Egbert of Clarksville, Term. ; a brother, Laurance (Jeanie) Pfuntner of Wellsville; a sister, Helene T. Pfuntner of Ithaca, N.Y.; a stepson, Kevin (Diane) Ludden of Chantilly, Va., a step-d a u g h t e r , Kathy (Domimck) Graziano of Manassas; seven grandchildren; and several nieces and nephews. He was predeceased by a brother, William E. Pfuntner, who died on June 14, 1996. Friends called on Wednesday (Feb. 2, 2000) from 2 to 4p.m. and 7 to 9p.m. in the J.W. Embser Sons Funeral Home Inc., Wellsville, where funeral services were held on Thursday (Feb. 3, 2000) at 11 a.m. The Rev. Joseph Vatter officiated. Burial was in Sacred Heart Cemetery in Wellsville. Memorials may be made to the David A. Howe Library or the Wellsville Salvation Army. JEAN M. HAWLEY, 76, of 60 North Brooklyn Avenue passed away July 28, 2004 after a lengthy illness. 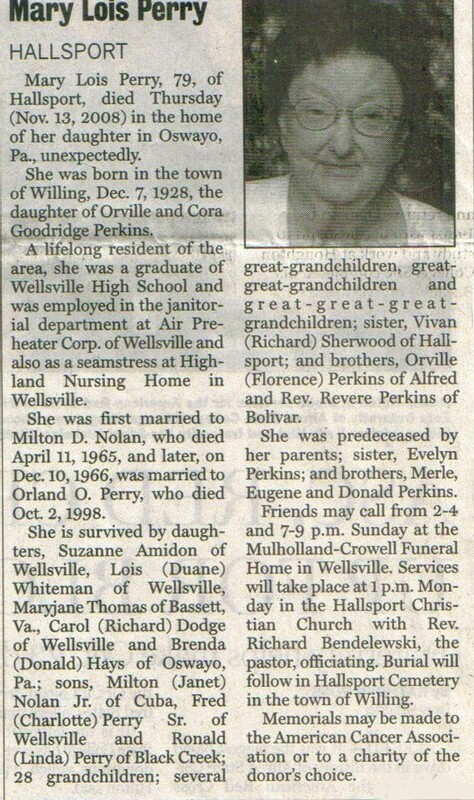 She was born February 5, 1928 in Wellsville, the daughter of Frederick and Edith (Smith) Graves. On August 27, 1953 in Wellsville she married Wilber Hawley who predeceased her December 13, 1998. 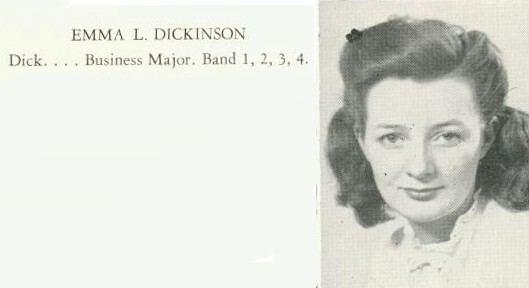 She graduated from Wellsville High School in 1946. She was a member of the Christian Temple Church in Wellsville. Jean enjoyed walking, reading, crossword puzzles and cooking. She was a devoted mother, grandmother, and friend who also loved her dog, Tex. Jean is survived by 2 sons: David (Tracie) Hawley of Wellsville, Brian (Kristi) Hawley of Arkport, 2 daughters: Cassandra Hawley of Wellsville, Marianne (Steve) Haltom of Houston, TX, 3 granddaughters: Alyssa, Cassidy, and Taylor, and 5 nieces and nephews. In addition to her husband, she was predeceased by a brother: Frederick Graves. Elaine W. Teater, 82, of 1177 Shadyside Rd. Jamestown passed away at 12:40 p.m. Wednesday (April 20, 2011) in W.C.A. Hospital. A lifelong area resident she was born May 2, 1928 in Jamestown, NY a daughter of the late Alton R. and Rose I. Gertsch Dalrymple. 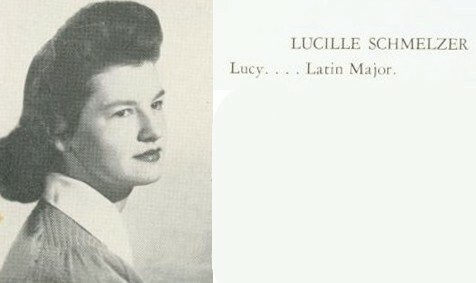 She was a 1946 graduate of Wellsville High School and a 1950 graduate of Syracuse University. Before her retirement she had owned and operated the Chautauqua Storage and Transfer Company in Jamestown and Celoron for 45 years. She was a member of the Lakewood United Methodist Church and a past president of the Lakewood Memorial Post 1286 American Legion Auxiliary. She was also a member of the Chautauqua Salon 649 County Chapeau of 8 & 40. Her other memberships include the Mt. Sinai-Mecca Chapter 132 Order of the Eastern Star for over 50 years, the Lakewood Golden Agers and the Women of the Moose. She will be remembered as a loving and caring mother and grandmother who loved to go camping at Rushford Lake. 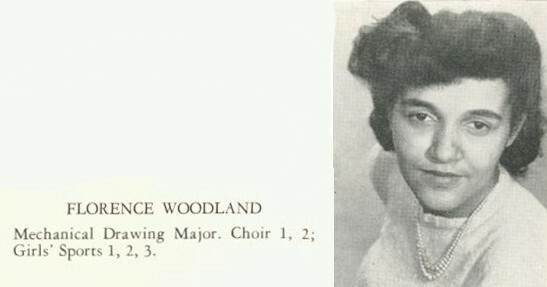 She also loved bowling in her different leagues and she really loved her time spent at the Lakewood American Legion and as auxiliary president. Surviving are three sons Donald L. (Sally) Teater of Jamestown, Gary L. Teater of Naples, FL, Jon L. Teater of Jamestown, a daughter Sherry L. (Gary) Carnes of Jamestown, nine grandchildren Christina Teater (Ryan) Parks, Laura (Dana) Classon, Emily Anderson all of Jamestown, Laurie Teater of Richmond, VA, Kellie (Brandon) Lawson, Katie Teater both of Naples, FL, Jon L. Teater, Jr. of Warren, PA, Adam Carnes of Orlando, FL, Natalie Byard of Atlanta, GA and a great grandson Brady Classon of Jamestown. Besides her parents she was preceded in death by a brother Alton R. “Buster” Dalrymple, Jr who died in 1932 and a great granddaughter Charlotte Elizabeth Parks who died March 3, 2011. The Rev. Violet A. Davidson, pastor of the Lakewood United Methodist Church will officiate. Burial will be in the Sunset Hill Cemetery. Memorials may be made to the Lakewood United Methodist Church, 164 Shadyside Ave. Lakewood, NY 14701. Christine Rapoza passed away peacefully, surrounded by her loving family, on January 25, 2016 at her home in Petaluma. Christine was born on September 8, 1928 in Wellsville, New York to Walter and Margaret Chaffee. Christine married John J. Rapoza on January 13, 1951 in Carmel, California. They were married 64 years until John’s passing in 2015. Christine is survived by her children Jerry (Susie) Rapoza, Tina (Rod) Souza, her grandchildren Jenaé (Tony) Ball, Jeanette Rapoza, John Souza, Donna (Joe) Duldulao, Benjamin Souza and her great-grandchildren Anson and Landon Ball. Her kind and compassionate nature led Christine to accomplish many things in her life. She spent several years as a bookkeeper at Hunt and Behrens Feed Mill in Petaluma and later found a passion as an activity director at Manzanita Manor in Cloverdale. Her children, grandchildren and great-grandchildren were the love of her life. She will greatly be missed by many, especially her forever friend of 70 years, Vicky Rostron. The family wishes to thank Springfield Place, Dr. Saw Aye, Dr. Peter Brett, Sutter Regional Hospital Outpatient Care Unit and Hospice of Petaluma for their loving care. Memorial contributions may be made to Hospice of Petaluma, 416 Payran Street, Petaluma, CA 94952. Private services will be held at a later date. Mary Lou Carey passed away peacefully at her home in Cape Coral, FL on October 22, 2010. She is predeceased by her loving husband, James P. of 43 years; her sister, Anna Mae Ryan and brother, Art Anderson. Daughter of the late James and Neva Pearl Anderson, she was born on October 8, 1928 in Rew, PA. She is survived by her children, Mary Ann and Richard Lewis, Pattie Williams of Cape Coral, FL, James and Terry Carey of Johnson City, NY and Charles and Joelene Carey of Endicott, NY; eleven grandchildren and eleven great grandchildren. She is survived by two sisters, Lucille Hoxsie and Sarah Taubel; and one brother Ronald Anderson. 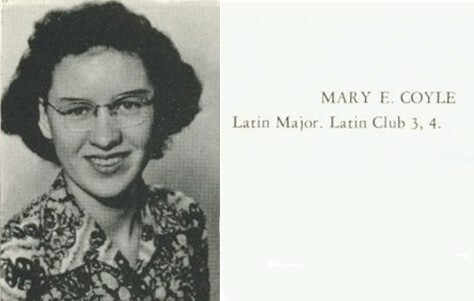 Mary Lou was formerly employed by Broome County for many years, as well as Endicott Johnson, and Bausch & Lomb. 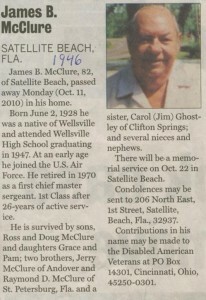 A celebration of her life was held on Monday October 25, 2010 in Cape Coral, FL. In lieu of flowers, contributions may be made in Mary’s name to Hope Hospice, 2430 Diplomat Parkway, Cape Coral, FL, 33909. Nancy Towner Rouse, 87, passed away early Friday morning (June 26, 2015). Nancy was born Feb. 28, 1928, in Wellsville, the daughter of George and Margaret Wright Towner. On Aug. 19, 1949, she married Ashley T. Rouse. 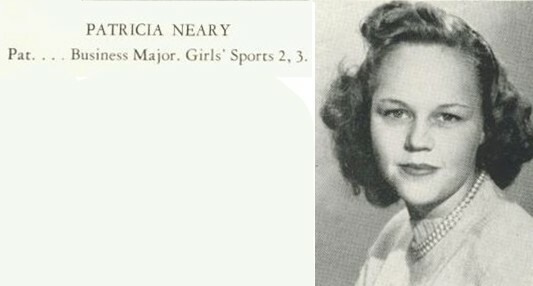 Nancy was a 1946 graduate of Wellsville High School and worked at the local gas company prior to starting her family. She then began a career in insurance with Hyslip & Hyslip in 1963 and retired from Reidman Insurance in 1990. Nancy enjoyed entertaining friends and family at her cottage at Rushford Lake. She was a regular fan at Scio Central School sporting events and enjoyed sewing, crafts, and making items for her family and for the holidays. Nancy enjoyed traveling and took numerous trips to all parts of the continental United States and Puerto Rico. She took pleasure in her novelty pig and Depression glassware collections, along with many other local collectables. Nancy always felt it was important to give back to her community. She spent 15 years volunteering with the Scio Central School breakfast program, delivered Meals on Wheels for Office of the Aging until 2011 and also served on the Allegany County Office of the Aging Advisory Board. She was a board member of the Scio Memorial Library and was especially proud of her monthly birthday calendars that she published. She was a member and past president of the Scio Sunshine Club, a member of the Wellsville Women’s Business and Professional Club, as well as a volunteer with the Jones Memorial Evergreen Twigs and a member of the Scio Methodist Church. She still found time to be the secretary/treasurer of the Knights Creek Cemetery Association. She is survived by her brother, Stephen (Marion) Towner of Scio; her son, James A. (Nancy) Rouse of Colleyville, Texas; and daughters, Debra A. (David) Root of Scio and Pamela A. (James) Demezas of Splendora, Texas. She is also survived by her grandchild, Christopher A. (Jaime) Root of Scio; and two great-grandchildren, Payson and Kinley Root. She was predeceased by both her parents and her husband. Please join Nancy’s family and friends for a celebration of life for her from 6 to 8 p.m. Tuesday (June 30, 2015) at Mulholland-Crowell Funeral Home, Wellsville, where services will be held, with the Rev. Diane Cox officiating. Burial will be in the Fairlawn Cemetery in Scio. 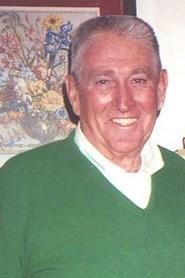 Bruce R. Dunbar, USNR, Capt., 81, of Sun City, AZ formerly of South Glens Falls, NY passed away April 18, 2010. He was born in Wellsville, NY December 28, 1928. Bruce served in the United States Navy during the Korean conflict and retired from the reserves as a Captain in 1978. 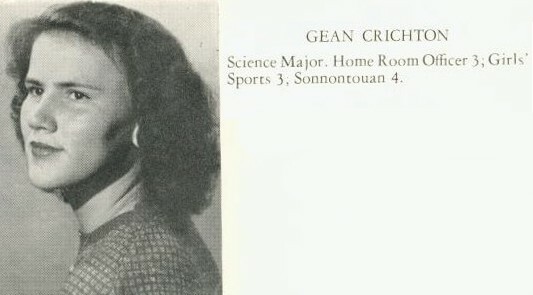 He held a Master’s Degree in Public School Finance and Business Management from the University of the State of New York at Albany, and was the Business Manager of the South Glens Falls Central School District for 20 years. He was active in many community organizations and served as President of the Chamber of Commerce and Rotary Club in South Glens Falls, NY. He was also active in the NY State Association of School Business Officials. After retirement, he and his wife enjoyed traveling extensively in their motor home throughout the United States. He was active and held the office of President in the Arizona SMART Tumbleweeds, a military retirement travel club. They also had the opportunity to travel in Europe and Asia. He is survived by his wife Jean of 52 years, sons David and wife Vicki of Ward, AR, Darwin and wife Rose of Las Vegas, NV and Daniel and wife Lori of Rochester, MI. He has 5 grandchildren and two great grandchildren. There will be a small family memorial service held in the future. Barbara M. Koschara, age 85 of 6781 Groveland Station Road, Groveland, died June 29, 2015 at East Side Nursing Home in Warsaw. 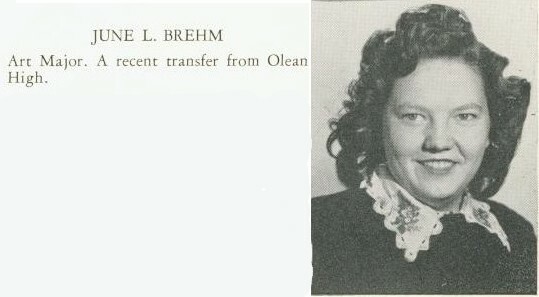 She was born the daughter of the late Louis and Hazel (Tremaine) Shear on April 6, 1930 in Wellsville, N.Y. She was married on Sept. 9,1950, to William G. Koschara who predeceased her on Aug. 22, 2013. Prior to her retirement she had been employed at Craig Developmental Center in Sonyea and then for Fingerlakes DDSO retiring as a Community Psychiatric Social Worker. She was a long standing member of the Sparta First Presbyterian Church in Groveland where she was a member of the Choir and the church Women’s Society, a member of the Kathryn Skyler Chapter of the DAR in Allegany Co. along with the CAR, the Historical Society in Livingston and Allegany Counties, The Writers Club of Allegany Co. and the Retired Public Employees Association. She is survived by her 5 children, Adrian (Cheryl) Tremayne of Rochester, Fred Koschara of Boston, Mass., Stephen D. Koschara of Greensburg, Pa., Greg (Kathy) and Nathaniel (Cheryl) Koschara both of Groveland; 7 grandchildren, Debbie, Greg Jr., Will, Justin, Alicia, Travis and Jiordan; 10 great-grandchildren; nieces and nephews. Besides her parents, she was predeceased by her daughter-in-law, Marianne B. Koschara in 2009; and her brother and sister-in-law, Raymond and Sylvia Shear. Friends may call Thursday from 2-4 and 7-9 p.m. at the John W. Martin Funeral Home, 37 Chapel Street, (Route 408), Mount Morris. Memorial services will be held Friday at 12 p.m. at the Sparta First Presbyterian Church in Groveland. 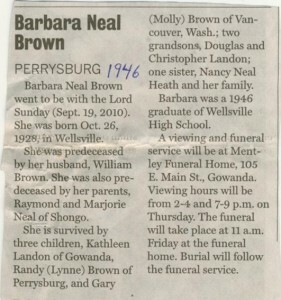 Interment will be in Woodlawn Cemetery, Wellsville, N.Y. Memorials may be made to Sparta First Presbyterian Church, P.O. Box 82, Groveland, NY 14462. Nancy K. Wandrisco, 82, of Greensburg, passed away Sunday, Sept. 4, 2011, in the Select Specialty Hospital in Latrobe. She was born Feb. 13, 1929, in Greensburg, the daughter of the late M.A. King and Eleanor Church King. 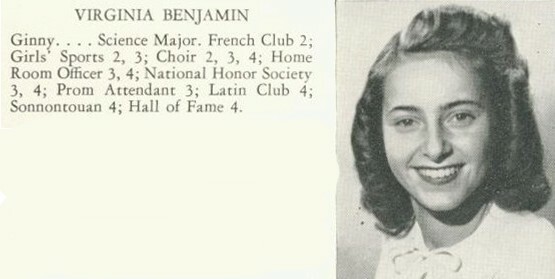 She had received her bachelor’s degree from the Connecticut College for Women. Nancy was a retired executive secretary for more than 30 years with the Timken Latrobe Steel Co. She was a member of First Presbyterian Church in Greensburg and a member and past worthy matron of Eastern Star Chapter No. 281 and was a member of the Latrobe Steel Retired Women’s Club, the Mystery Guild Book Club and the Crossword Puzzle Club. Surviving is her loving husband, Thomas A. Wandrisco; along with their faithful dog, Maggie; and several nieces and nephews. Interment services will follow in the Unity Cemetery. If family and friends desire, memorial contributions may be made to the Excela Latrobe Hospital Foundation. Ray Charles Smith, 86 of Richmond, passed to his eternal rewards on July 10, 2015. He is survived by a son, Michael Dennis Smith of Richmond, Virginia. Ray was born in Penn Yann, New York on October 12, 1928 to Milon and Lillian Smith. He was preceded in death by his parents; his beloved wife, Phyllis; and a sister, Betty Kennedy Glover of Tempe, Arizona. 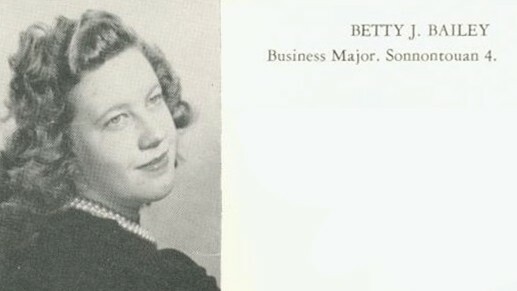 Ray attended Wellsville High School, Brockport State of New York and Georgia Tech of Atlanta, Georgia. A life member of TAPPI, American Society of Mechanical Engineers and a 32nd Degree Mason. He will be missed by those associated with him over the years. Ray and his wife Phyllis will be buried in Woodlawn Cemetery in Wellsville, NY. Services will be private. The former Mary L. Eymer was the daughter of Lewis Eymer and Maggie Rossman Eymer. She married Lyle D. Rahr, becoming Mary L. Rahr, on 6 May 1954 in Wellsville, NY. 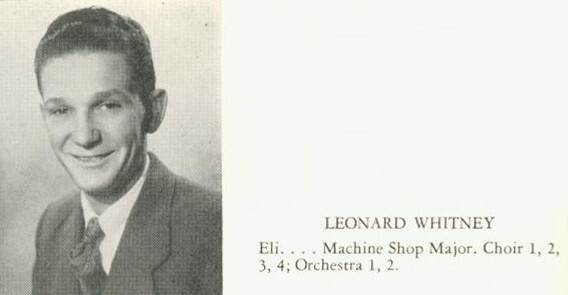 Mr. Wilson, a son of DuWayne & Vera Terwilliger Wilson was a retired design engineer from General Motors in Rochester. 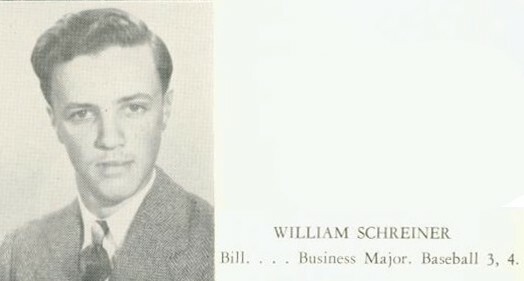 He also worked for Emhart Corp, Ford, Corning Glass and Ritter. He was the holder of 6 patents. He is survived by 5 daughters; Donna (Timothy) Shannon, Corrine (Thomas) Smithgall, Pamela (Frank) Sardina and Patricia (Paul) Parmiter; one son, James (Stacy) Wilson; 2 brothers, Chester (Joan) Wilson and George “Jack” (Rosemary) Wilson; 4 sisters, Vera Grillo, Ruby Palmer, Gertie Stuck and Shirley Arrington, 12 grandchildren and 1 great-grandchildren. He was the husband of the late Patricia M. Ryan who died Jan. 20, 2003 and the brother of William, Charles and DuWayne Wilson. Joyce L. Duke Lorefice, of Bay Shore, on February 5, 2004, surrounded by her family. Beloved wife of Charles. Devoted mother of “Cowboy Bill”, Grace Gross, Patty Winkle, Charlie, Mary Walker, and the late Raymond. Special Mom to Sammy, Joey, Christina and Lorraine. Cherished grandmother of 22 and great-grandmother of 11. Precious “Momma” and aunt to many who knew and loved her. Loving sister of Thomas Duke and the late Gladys, Aaron, Robert, William, Corbly, Raymond and Harold. Dedicated employee of 34 years at Pilgrim State Hospital, retired as Overall Nursing Supervisor. Mass of Christian Burial, Monday 11AM, St. Luke RC Church, Brentwood. 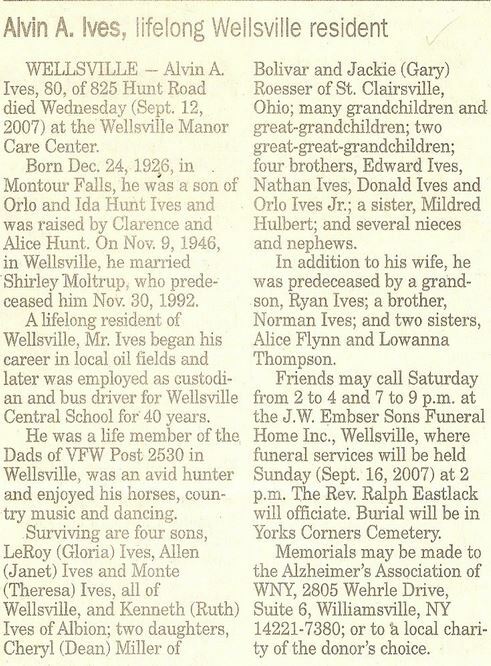 DENNIS ELVIN WOOD, born July 25, 1929 in Wellsville, New York died Friday April 9, 2004 at the age of 74. He retired from the U. S. Postal Service and was an avid gardener. Dennis was preceded in death by his sister, Sally Wood. His loving family includes his wife, Mary Wood; son, Dean Wood and wife Erma Johnson; daughters, Sally Edwards and husband Roy; Julie Knutson; brother, Jimmy Wood and wife Pat, Harrah, Ok.; sisters, Doris Perkins, Wellsville, N.Y.; Gladys Swarthout and husband Phil, Wellsville, N.Y.; Joyce Lehman, Waco, Tx. ; grandchildren, Ryan Johnson, Cameron Wood and Jacob Wood Caudill; numerous nieces and nephews. Visitation will be held from 5-8 PM on Wednesday, April 14, 2004 at Pasadena Funeral Chapel. A Celebration of Life will take place at 10:00 AM. on Thursday, April 15, 2004 at Pasadena Funeral Chapel with Bro. Mark Waltenbaugh officiating. Interment Houston National Cemetery. In lieu of flowers the family requests donations be made to the Charity of ones choice.